Buy with your hand painted talavera toilet or mexican bathroom sink wall and above counter accessory sets decorated with the matching pattern. 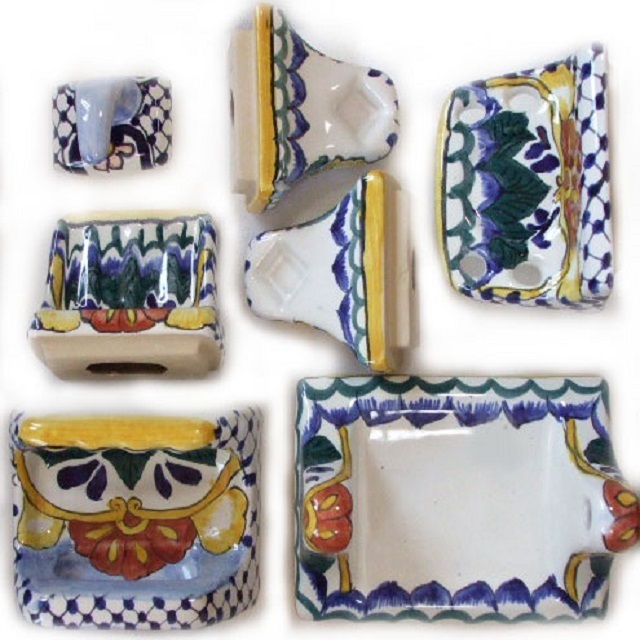 Talavera bathroom accents include towel racks, soap dishes, bath toilet paper tissue holders and hooks. They are designed as a permanent fixtures of the bathroom decor.